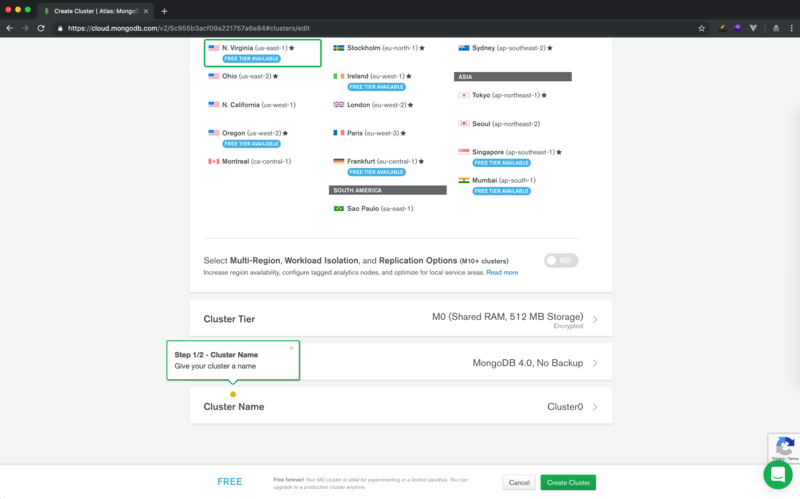 Kaloraat - How to use MongoDB Atlas? Recently mLab has been closed for new signups. But that's not a problem, you can use MongoDB Atlas instead. 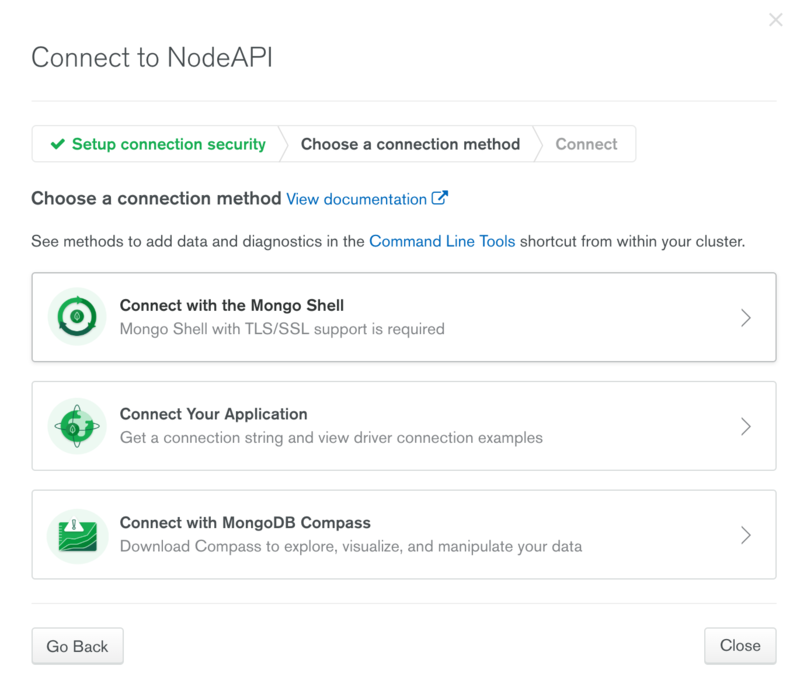 This article will guide you on how to get started with MongoDB Atlas. 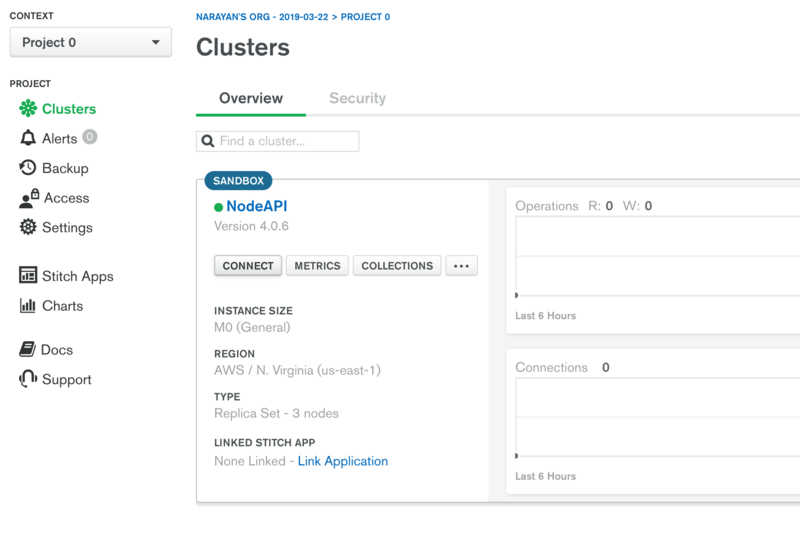 Towards the end of the page, you will see Cluster Name row. 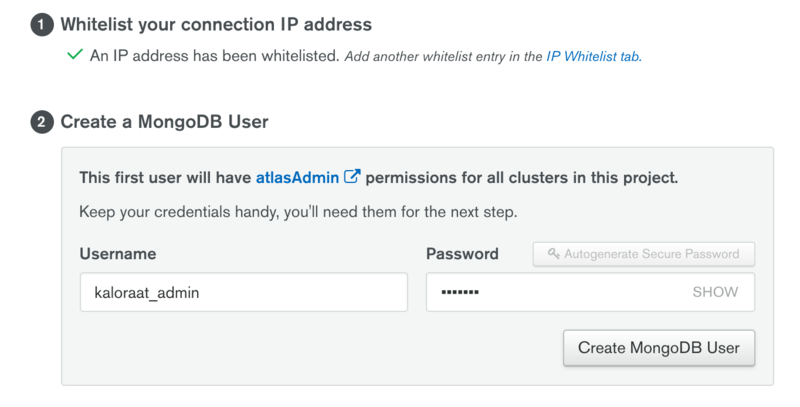 Click on that to enter the name for your new cluster/database. 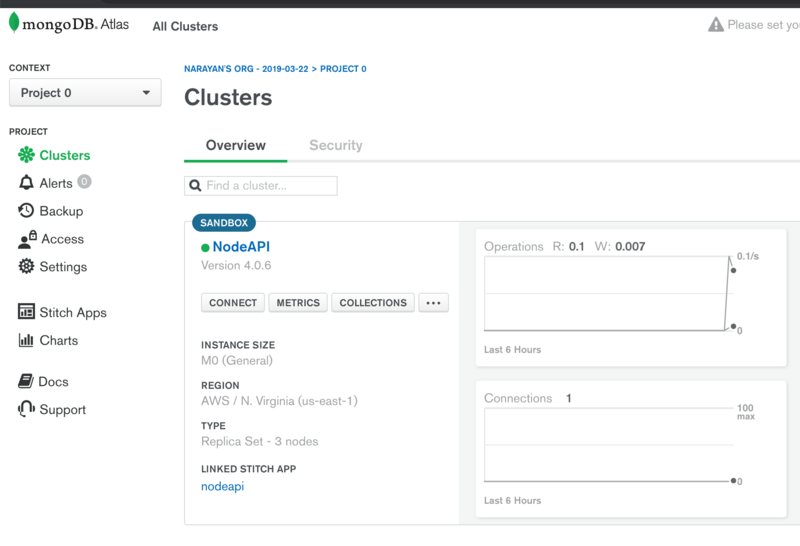 Towards the left sidebar, you will see the name of your Cluster along with few options such as CONNECT, METRICS, COLLECTIONS. Once you hit CONNECT button. You will see a popup with few options. Once you hit the Add your current IP Address button, that will auto-populate the IP address. Just click on Add IP Address. 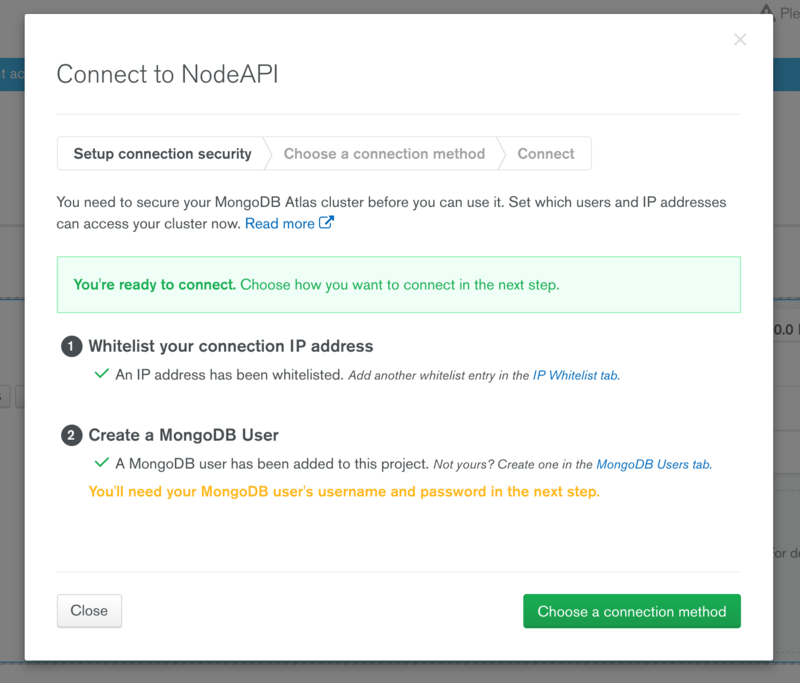 Enter any username and password and hit the button that says Create MongoDB User. This username and password is required later so you need to remember. Then you will see the following window. It shows you success message that says: You're ready to connect. Click to copy the Connection String. 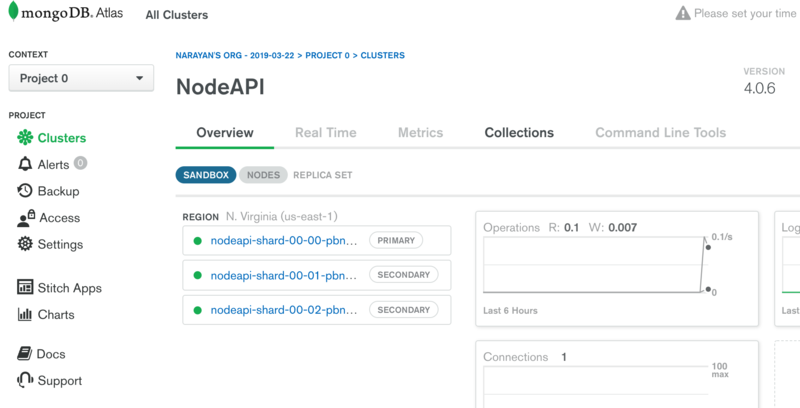 As you can see, MongoDB Atlas gives us default test collection inside our cluster nodeAPI. You will see the list of databases. 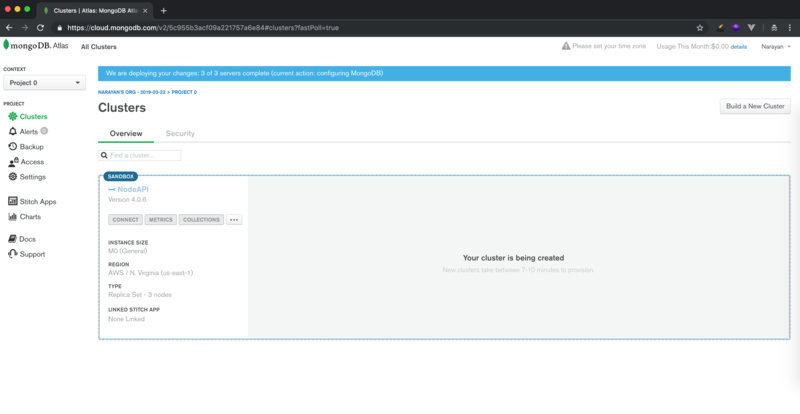 I tried creating few users and posts using this database using both test and nodeapi. As a result I have two databases. 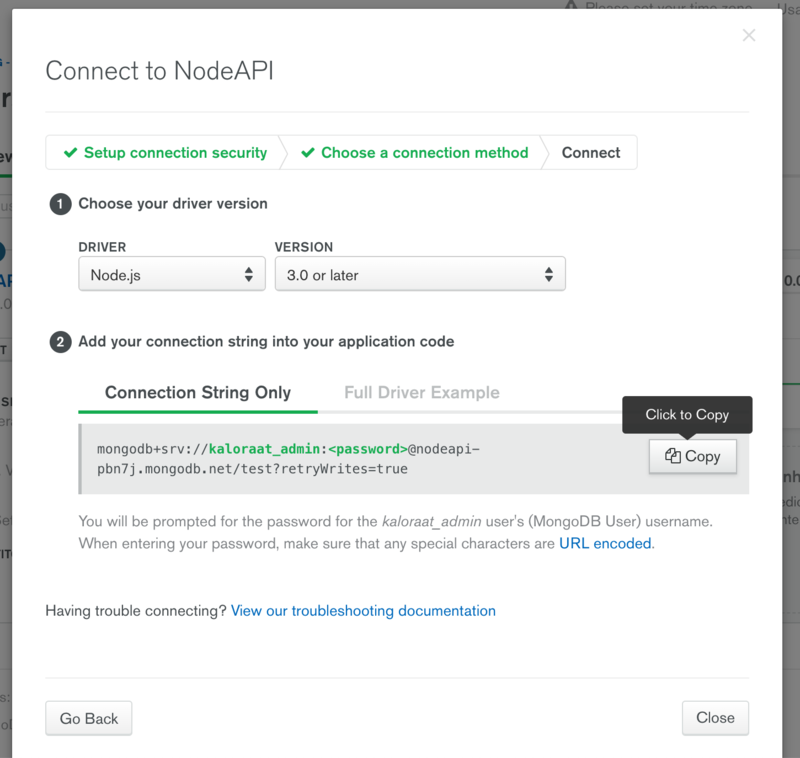 nodeAPI and test. You may browse through your collection and update data manually. Thats all. 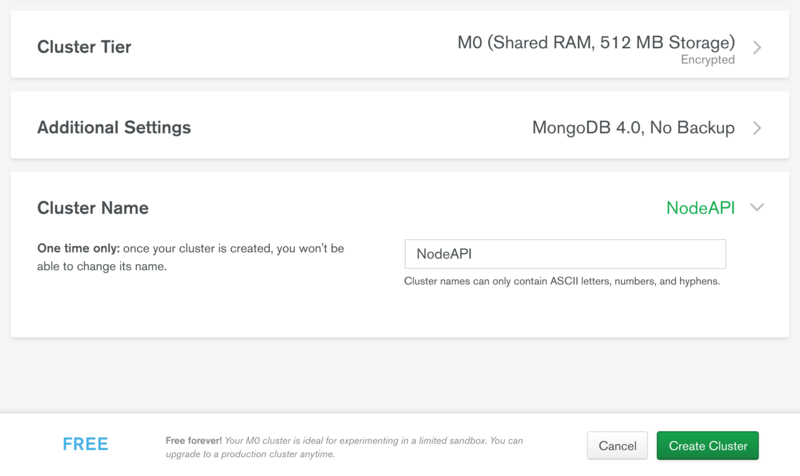 Now you can start using MongoDB Atlas. 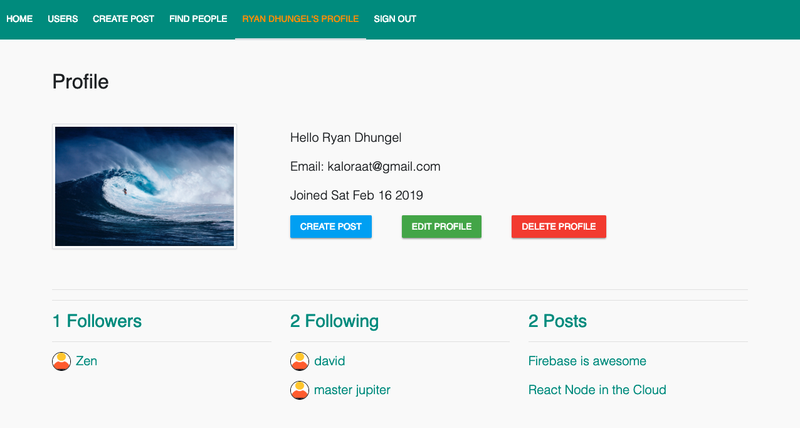 By the way, If you are looking to become a FullStack React Node Developer, then you might find this Udemy course interesting. This course starts from scratch and takes you on a journey to build a fully functional Social Network App from Scratch to Production. Cheers! !